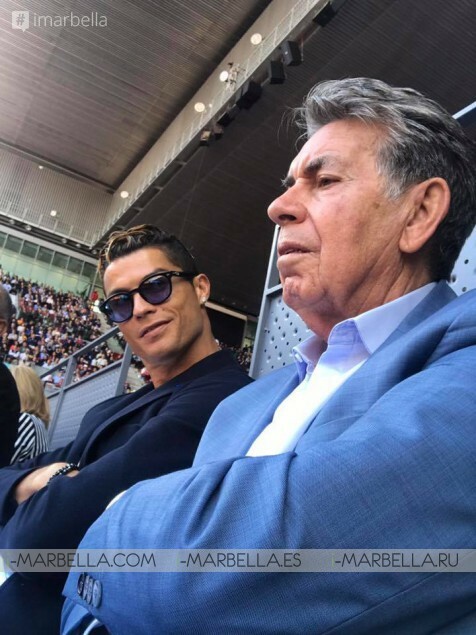 Cristiano Ronaldo was a golden guest at the Mutua Madrid Open 2017, held at Caja Mágica, from 04th to 14th May 2017. Ronaldo went to see the semi-final match between Rafa Nadal and Novak Djokovic, meeting that the Spanish won. 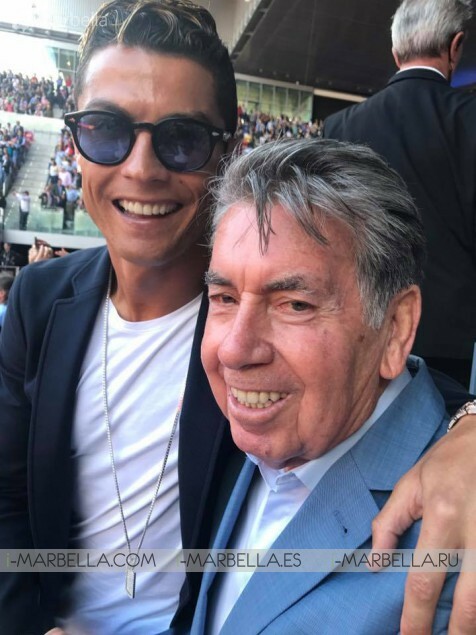 Ronaldo was sitting in one of the VIP boxes, where he comes every year to enjoy tennis, as he is a great fan of the white sport. 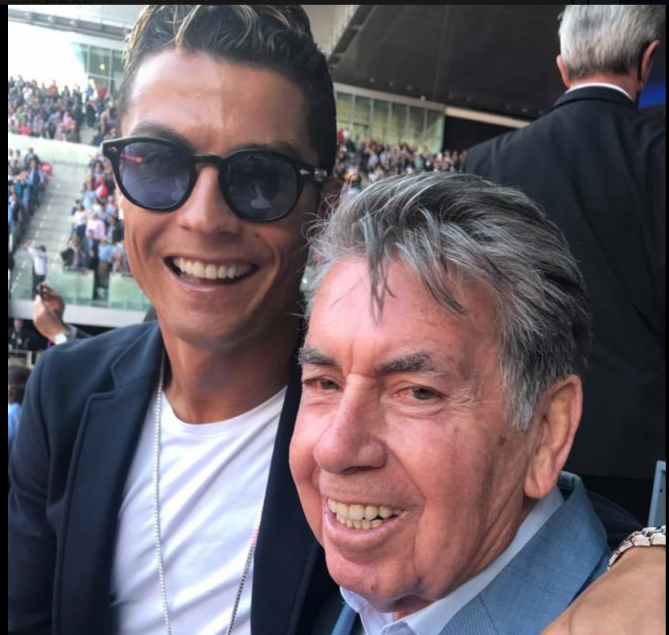 This year Ronaldo was in accompanied by the Spanish Tennis legend Manolo Santana. The semi-finals match took place at the Manolo Santana tennis court. 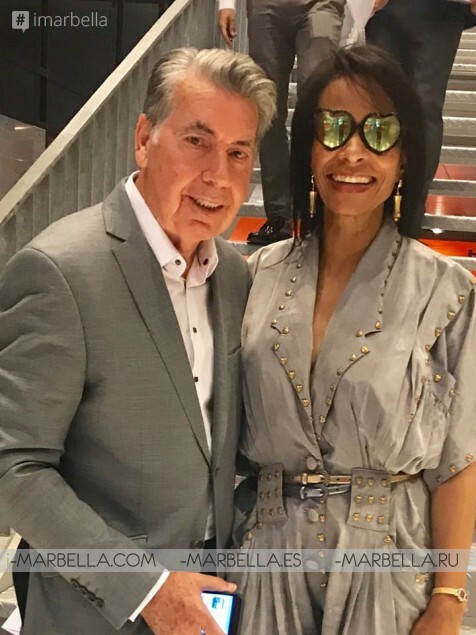 The pictures are the courtesy of Claudia Rodriguez, Manolo's wife. Manolo Santana is the director of the Mutua Madrid Open. Manolo Said "I love to get things ready for the Madrid Master and go see the sponsors. We're always innovating because a 21-million Euro tournament should be a championship that thanks to the players and the city of Madrid,"
It's a job that goes on top of his involvement with the U-16 Davis Cup. "I don't settle for sitting in front of the TV." That's why he travels to all of the big tournaments, where he's in contact with all of the world's best tennis players. "I'm envious I can't play," Santana admits. Manuel Martínez Santana, also known as Manolo Santana (born 10 May 1938), is a former amateur tennis champion from Spain who was ranked World No. 1 in 1966. He was born in Madrid. 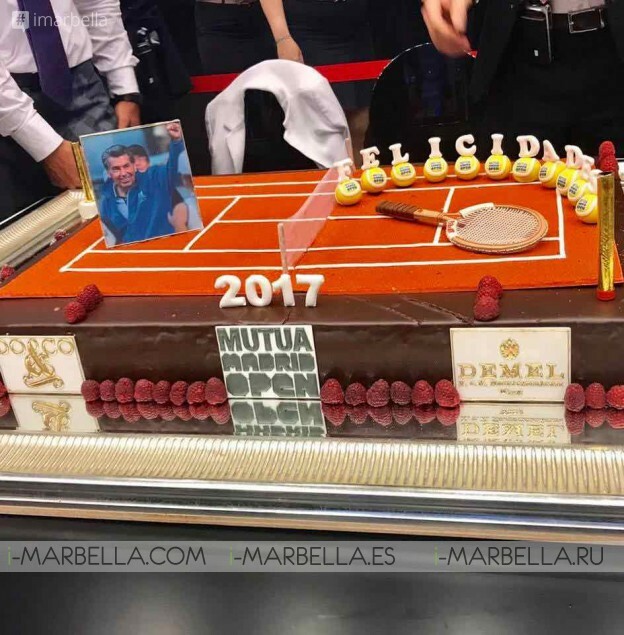 Spanish tennis is celebrating and most players, both active and retired, have wanted to pay homage to the Director of the Mutua Madrid Open on the occasion of the 50th Anniversary of his triumph at the All England Lawn Tennis and Croquet Club. Manolo Santana also celebrated his 79th birthday in Madrid during the tournament, on 10th May 2017.